Eat Madison Square Park now! No, literally, because it is ending June 3rd and you don’t want to miss this hidden treasure in the middle of NYC. 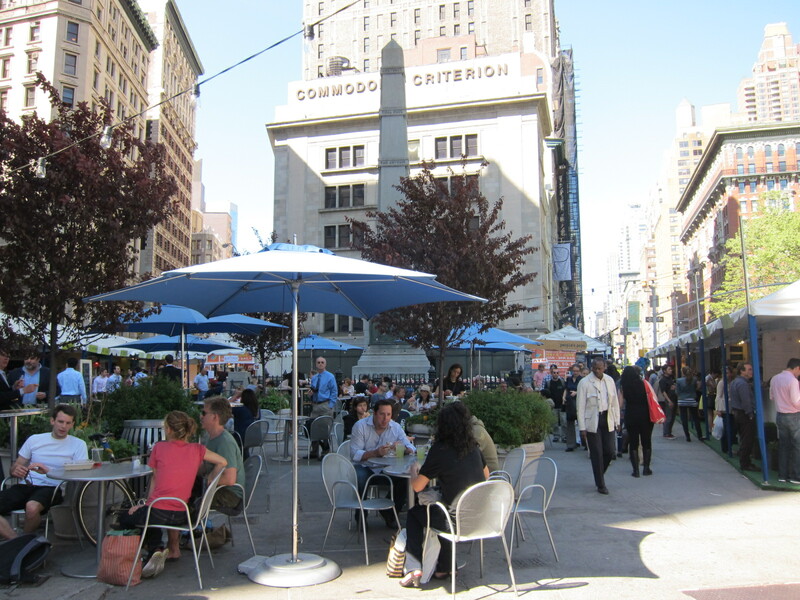 A food market tucked beneath the soaring buildings and full of some of New York’s best eateries all in one central location, this is the perfect place to grab a pizza from Roberta’s or a couple Asia dogs for lunch. It is set up like a farmer’s market but sans the produce stands. 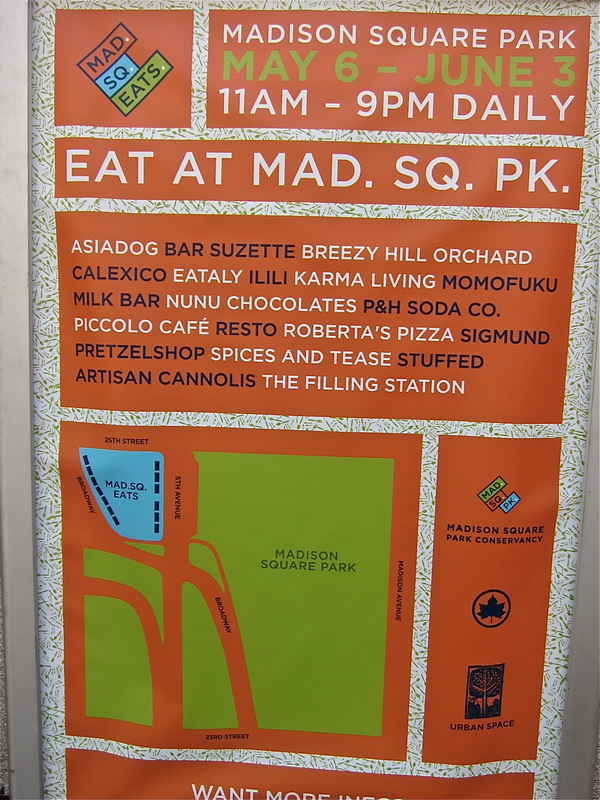 Eat Madison Square Park is also stocked with a variety of sweet eat options. If you need a little afternoon pick me up, this is a great place to grab a treat. People’s Pops uses local, sustainable fruits and herbs to make delicious handmade popsicles and shaved ice. This is the perfect summer treat. At People’s Popscicle you actually watch them shave the ice by hand. 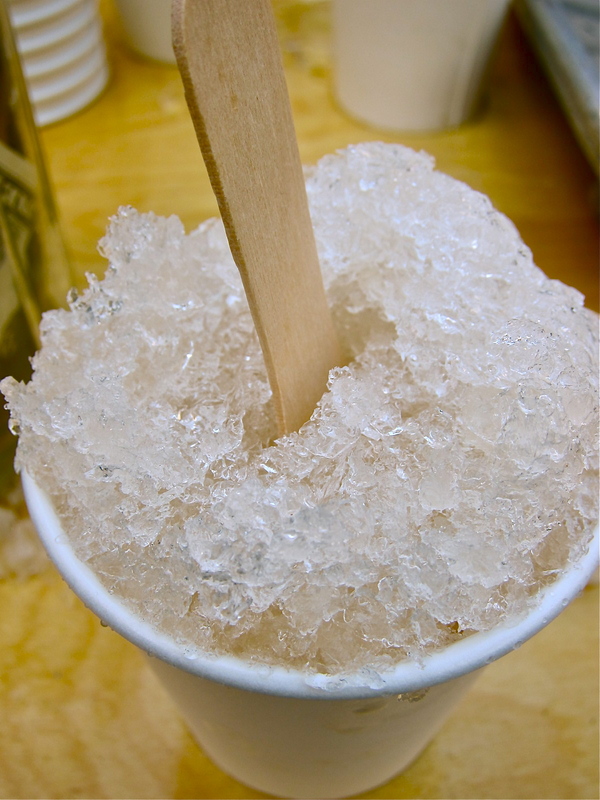 This creates a cold refreshing shaved ice that has a feathery lightness to it. They have a variety of popsicle flavors and one daily shaved ice flavor. I got the Bartlet pear, which was fruity and not overly sweet. I’m excited to see what other flavors they develop throughout the summer. Stuffed Artisan Cannolis offers bite-sized cannolis in a unique array of flavors. 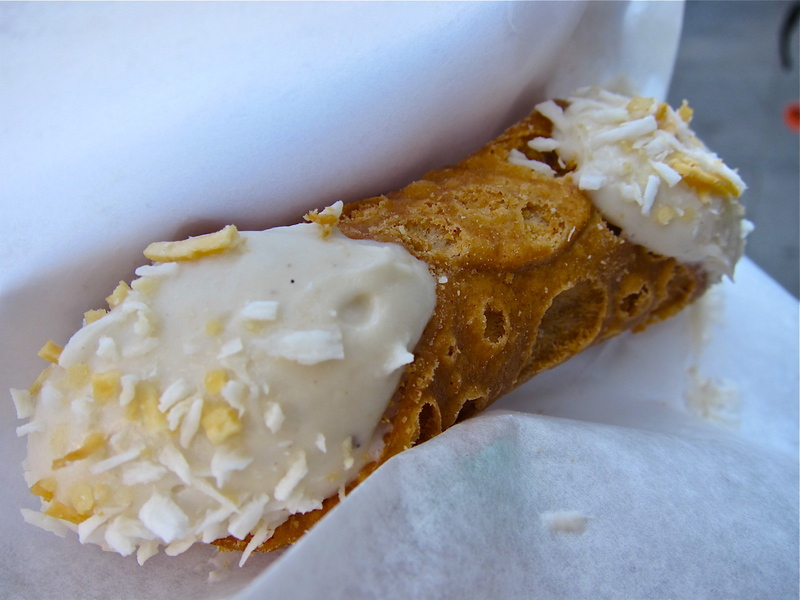 I opted for the banana cream cannoli. The shell was light and flaky with a nice crunch. The custard filling was bursting with banana goodness. It was creamy and lush. The compact size was perfect for snacking. Why: Because you have all your favorite restaurants in one quick and easy to access location. Previous PostPrevious Momofuku Milk Bar: All Hail Butter and Sugar! I’m curious about the other cannolis! I haven’t had one since I went to Boston last year. Anna- I would have gotten more but I had the cannoli and shaved ice after 2 Asia Dogs and a burger and shake from Shake Shack in the park across the way. The other flavors did look really good though. And it was the perfect cannoli shell!!! 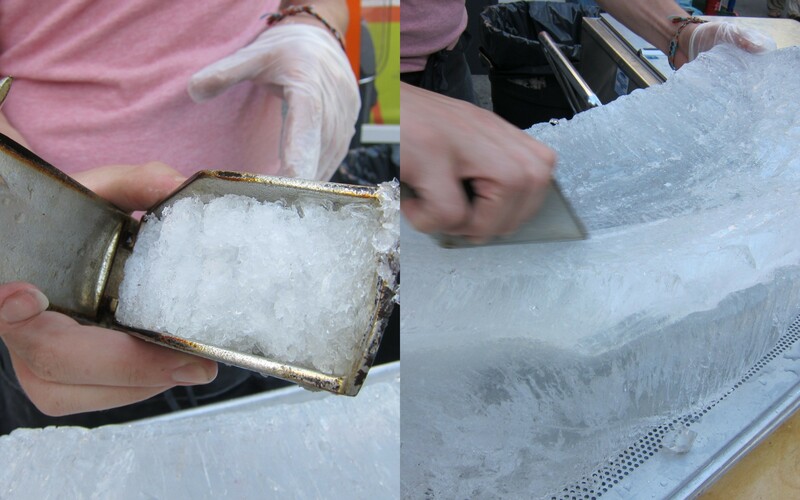 how crazy to watch them make the saved ice by hand! i didn’t even know this was going on thanks for the info i will check it out! Looks love fun! What a beautiful area! Roberta’s is so rustic and heavenly; followed by 2 cannoli’s and a shaved ice… heaven. Perfect afternoon spent in NYC.